So wordy o_O really fucked me up! You can help us by Clicking Google ADS. Looking for Shonen Jump Raw Providers! Roots of A #2 was published in a magazine, monthly young jump. While the roots of A was scanned as an entire volume, there were extra stories and one shots. Of course roots of A #2 could always get released in a tank version with more extras, only time will tell. 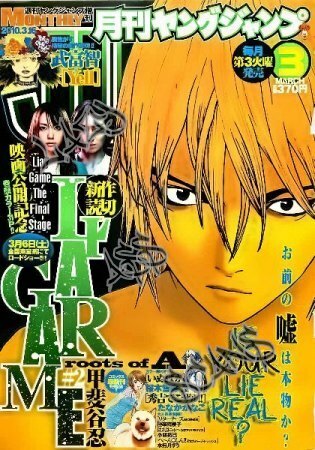 Are you only translating 'Liar Game Roots of A' or the full Liar Game series?? It was a oneshot if we get anymore oneshots we'll do it.